Tommy Christakos‍ camped at Notre Dame last summer and the Irish have continued to show interest in the 2020 Arizona wide receiver, stopping by Chaparral High School last month to check in on him. “Only my coach talked to them,” Christakos explained. “They didn’t have me come up and say hello. 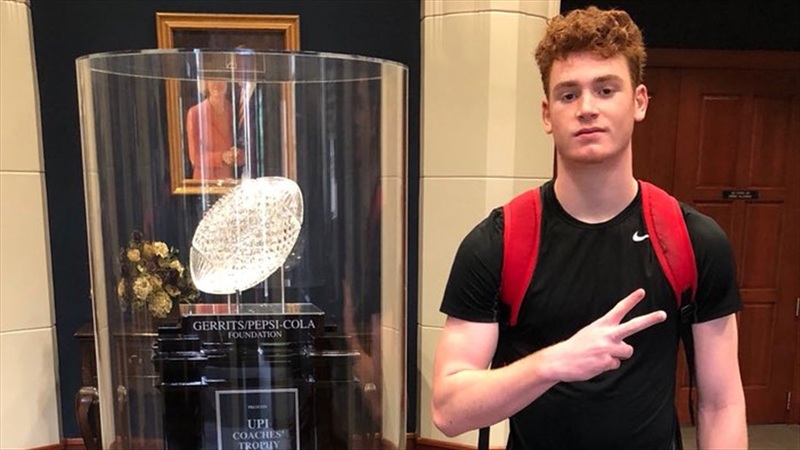 The 6-foot-4, 200-pound junior is also one of the nation’s elite kicking prospects and he has a high interest in the Irish. Christakos has double-digit scholarship offers from schools like Arizona, Arizona State, Cal, Iowa State, Utah, Harvard, Yale and Princeton among others. He’s hoping he might be able to add the Irish to that list at some point. Christakos, who wants to major in Business, Finance or Sports Management, wants to make his commitment before the start of his senior season.